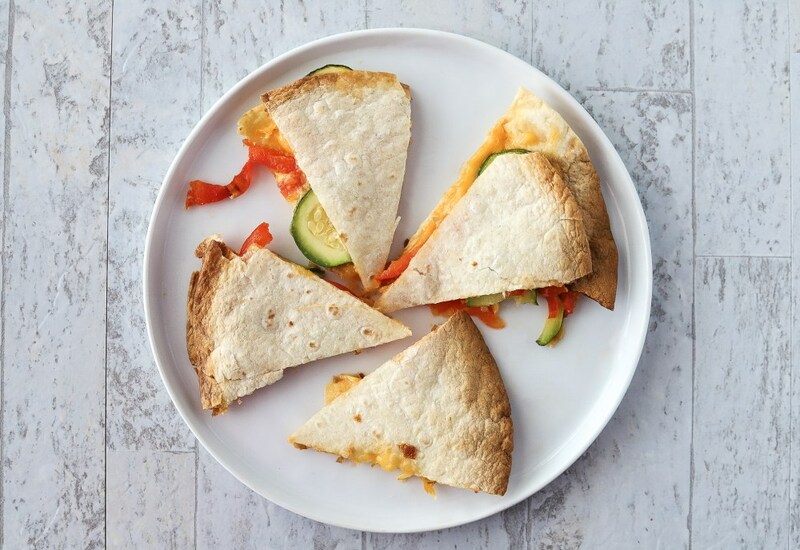 Zucchini, red bell pepper, and Cheddar cheese come together in these quick and easy vegetable quesadillas that are ready in less than 20 minutes. The air fryer makes them nicely crispy on the outside with melty cheese in the middle. Make them as an appetizer for a casual get-together or a quick lunch or dinner. Serve with homemade salsa and guacamole. Try other vegetables instead of zucchini and red bell pepper. Sautéed onion and spinach are a good combination. Sautéed garlic and broccoli florets are also good. Mozzarella cheese or Mexican cheese blend can be substituted for the Cheddar cheese, if desired. Per Serving: 291 calories; 13g fat; 31.5g carbohydrates; 12g protein; 28mg cholesterol; 421mg sodium. My wife has been on a vegetarian kick and I decided to give it a shot to be supportive. I was not looking forward to eating veggies every day but once I found this recipe I knew there was hope for me making it through this challenge. This recipe was so simple to make and the flavors were amazing. I added some sliced red onions, mushrooms, and some shredded pepper jack to kick it up. Made these for a Taco Tuesday and they were delicious. I didn't use the zucchini since I didn't have any at home but I did have a pack of tri-color bell peppers. I used Colby jack cheese instead of cheddar.